SC: T ell me a little bit about your main character of this book. 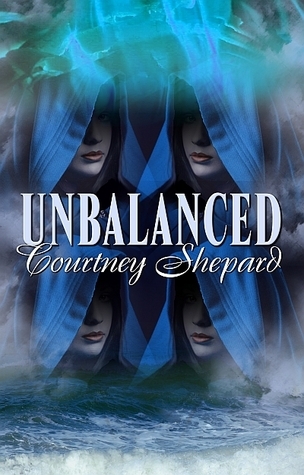 CS: Asha is the main character of Unbalanced. She was born with the power of fire, and her temper is as hot as her element. After a mysterious and deadly fire kills her family, Asha is forced into hiding with her guardian and handler Father Sean. Asha works to control both her crippling guilt and her frightening power. Father Sean sees the potential in young Asha and sends her out on various missions as a trained mercenary with a gift for explosions. Though her personality reflects her element, Asha is an extremely skilled fighter with a sharp military mind. She is tough, serious, and mostly angry. Her passion and temper rule her, but after meeting her sisters for the first time, she changes from angry rebel-mercenary to fierce protector. SC: . 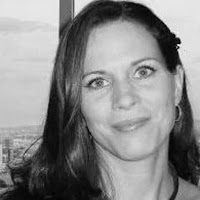 Do you believe in the paranormal and if so, do you have an experience you can share? CS: I do believe in the paranormal. Years ago, a very strange thing happened to me once. I was at a friend’s place for the evening after a long night out of dancing and fun. Her place was a refurbished outbuilding, a makeshift shed transformed into a suite, and she needed a space heater to heat it in the winter. We were both tired from dancing so hard all night, we passed out quite quickly. The unsettling moment was when I heard someone calling my name. It came from far away at first, like a distant murmur, but it got louder and louder until I recognized the voice. It was the voice of a great love who was killed in a car accident when I was a senior in high school. I was startled awake, my heart thumping in my chest. I still felt him in the room, like he had just left the moment I opened my eyes. My heart pounded with that unnatural speed of ‘something huge just happened’ but I didn’t know what. I looked around for him, because still in a sleepy-dream-like-haze I expected him to be there, for his shouted voice still echoed in my ears. But then I realized as my heart slowed, the room was full of smoke. I’ll never forget the visual of the smoke hovering and collecting in layers in the small room. One of us, probably me, had knocked a decorative pillow off the bed onto the space heater. The cushion was slowly burning, causing the room to fill with smoke. I still believe, though we may not have burned up or suffocated in that room, my boyfriend was there to warn me. And when he wasn’t able to wake me up easily, he had to shout in my ear. SC: Whew! Sounds like your friend arrived just in time. What titles are you working on now that you can tell us about? 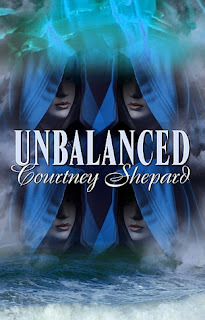 CS: Unbalanced is the first book in the Unbalanced Series, and I am currently working on Unbent the second book in the series. Unbalanced deals with Asha, the fire element’s story, while Unbent deals with Mere, the water element’s story. SC: Thanks so much for stopping by. Speaking of Asha, let's look at your novel now.